We have created a world-class dairy meeting for you! ADSA Professional Members: Save $50 on your registration fee by registering online before 11:59 PM CDT on March 15, 2018. To be eligible for a refund of meeting registration fees, requests must be received in writing. If the request is received on or before May 23, 2018, the registrant will receive a 90% refund. If the request is received after May 23, 2018, NO REFUND will be issued. The cancellation/refund request deadline applies only to meeting registration fees. Ticketed events may be cancelled if minimum attendance requirements are not met. Refunds will be issued for cancelled ticketed events. No refunds will be issued for ticketed events that are not cancelled. All approved refunds will be issued after the meeting in the form in which payment was made. Note: This cancellation policy does not apply to nonmember presenters. 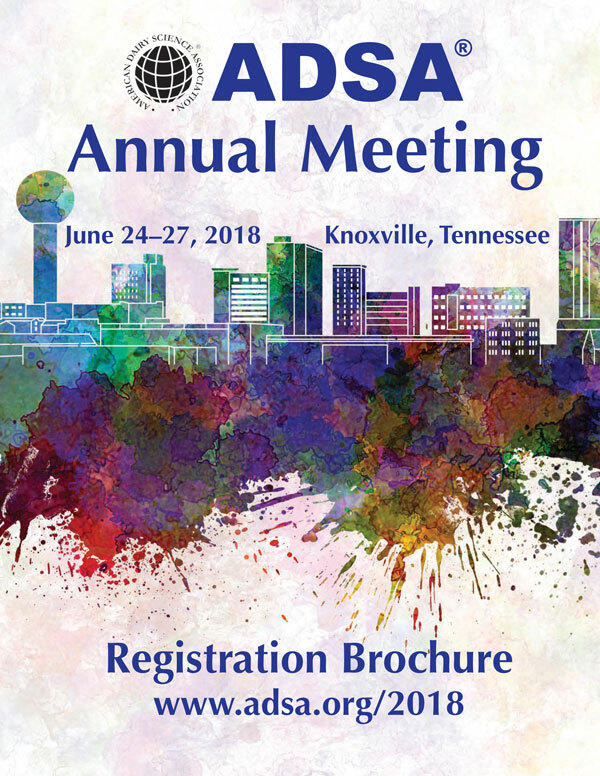 Abstract presenters must register by March 15, 2018.